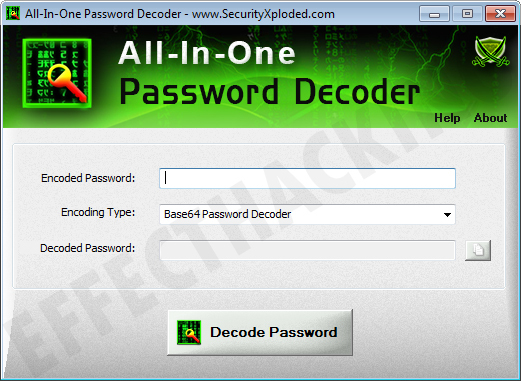 If your password is encoded with generic algorithms like Base64, or Yahoo64, or HEX or an application-specific encoding algorithm, you can decode it very quickly with the help of this amazing piece of software called "All-In-One Password Decoder". 1. 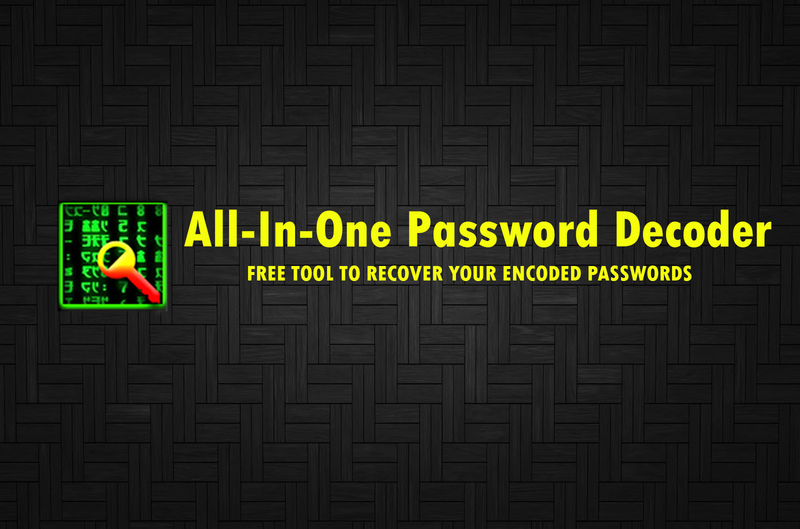 Download and install All-In-One Password Decoder on your computer. 2. Open the application, you will see a window as shown below. 3. Now paste the encoded password into the first (top) box. Then select the encoding type and then click on the "Decode Password" button. Now, your password should appear in the "Decoded Password" box.